ARLINGTON, VIRGINIA -- Congressman Ron Paul’s presidential campaign had a record fundraising day yesterday. In a 24-hour period on December 16, the campaign raised $6.026 million dollars, surpassing the one-day record of $5.7 million held by John Kerry. During the day, over 58,000 people contributed to Dr. Paul’s campaign, including 24,940 first-time donors. Over 118,000 Americans have donated to the campaign in the fourth quarter. The $6 million one-day total means the campaign has raised over $18 million this quarter, far exceeding its goal of $12 million. 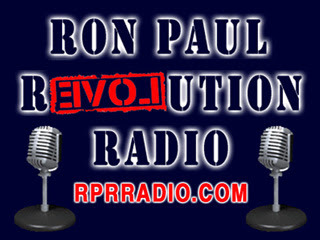 "We have the right message: freedom, peace and prosperity," said Ron Paul 2008 campaign chairman Kent Snyder. "We also have the right candidate: Dr. Ron Paul." Congressman Paul will be campaigning in Iowa today and will be holding a press conference at 12:45 pm at the Des Moines Marriott in the Des Moines Room. That's a lot of money. Wow.